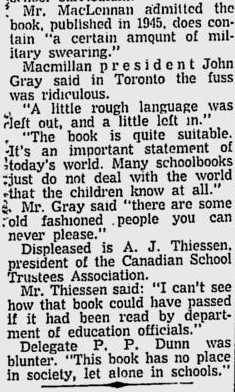 Published in the 31 July 1996 edition of the Financial Post, the column that followed lit amassing gas beneath the seat of Alberta backbencher Julius Yankowsky, who called for the book to be banned and its publisher's funding to be pulled. 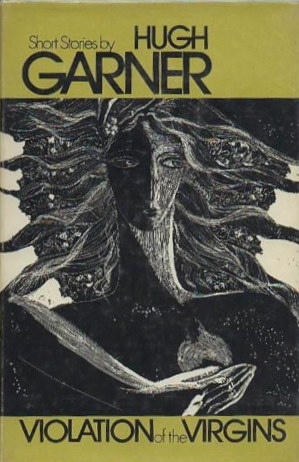 The MLA aped the columnist, repeating Coren's assertion that it was "hate literature", all the while acknowledging that he hadn't actually read the thing. After all, How Do You Spell Abducted? is 135 pages long, and some of the words have eight letters. Just look at that title! It begins with bad old Dad, divorced from good old Mum, forcing his way into his ex-wife's bedroom and screaming at her until she weeps. He then kidnaps the kids and they are so terrified they think he might kill them all and then commit suicide. Dad never forces his way into any room, least of all his ex-wife's bedroom. Mum does indeed weep, which has been known to happen in divorces. Dad leaves with the kids on what is meant to be a vacation, but it soon becomes clear that he has no intention of returning. That stuff about the kids being "so terrified they think he might kill them all and then commit suicide" was fabricated by Coren; it isn't in the book. Michael Coren is currently employed by the Sun News Network. Her book features three other men: a crabby oldster, a fat and stupid state trooper and a good Samaritan who has been unjustly denied legal access to his own children. There is no "crabby oldster" in the novel. The state trooper, girth never mentioned, is pretty sharp. The good Samaritan, named Dusty Andover, is a very fine and generous gentleman. He has never been denied access, legal or otherwise, to his children, though there is estrangement. 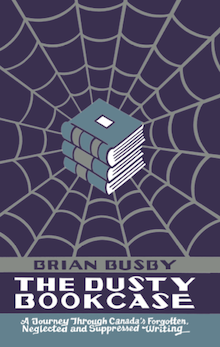 Dusty's adult offspring – no sexes mentioned – begrudge his having spent their inheritances in fighting their mother's cancer. 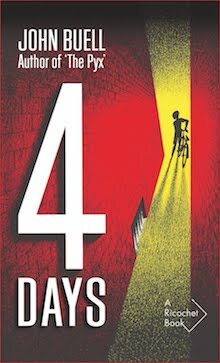 How Do You Spell Abducted? is a rotten title, but the book isn't half bad. 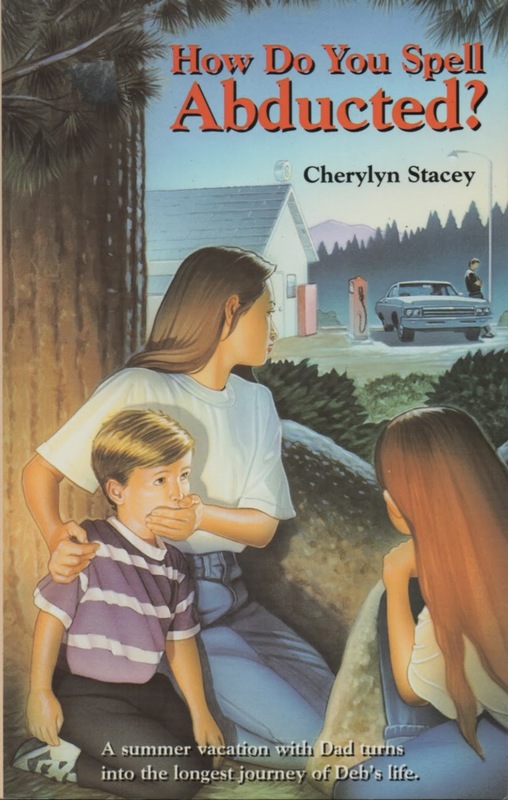 The characters, particularly the father, are well drawn. The plot is believable, disturbingly so, though the resolution is forced and fantastical. I can say these things because, you see, I've read the book. I have Michael Coren to thank for bringing it to my attention. 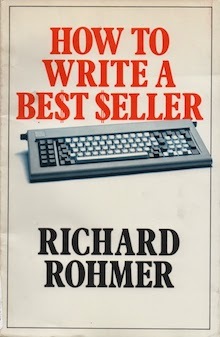 Object: An unattractive trade-size paperback. 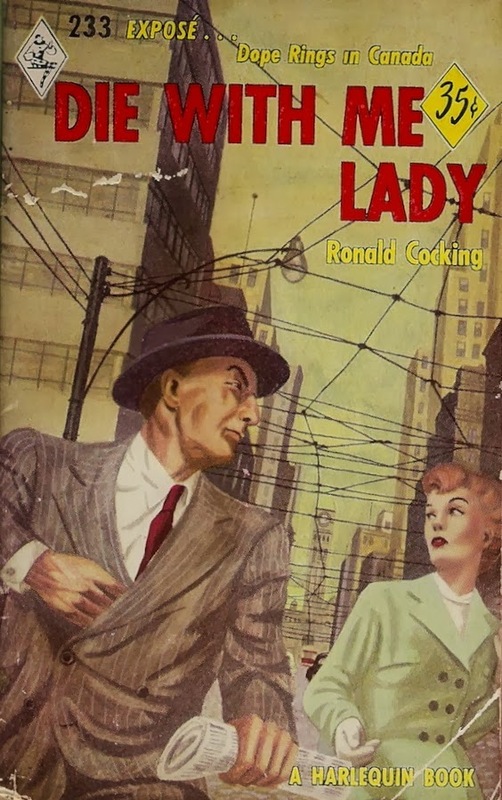 The cover illustration by Jeff Hitch depicts a scene that does not feature in the novel. It will be forgotten before we can say 'bleeding-heart neurotic'. Found in most of our larger public libraries. Used copies are cheap, but I encourage anyone considering purchase to buy it new. Yep, How Do You Spell Abducted? is still available. Setting It Right, Michael Coren's book from the same year is long out of print. Freedom to Read Week Hump Day. 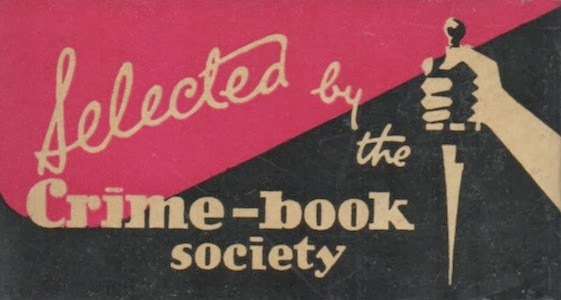 Have you bought your banned book yet? If not, may I suggest Eight Men Speak? 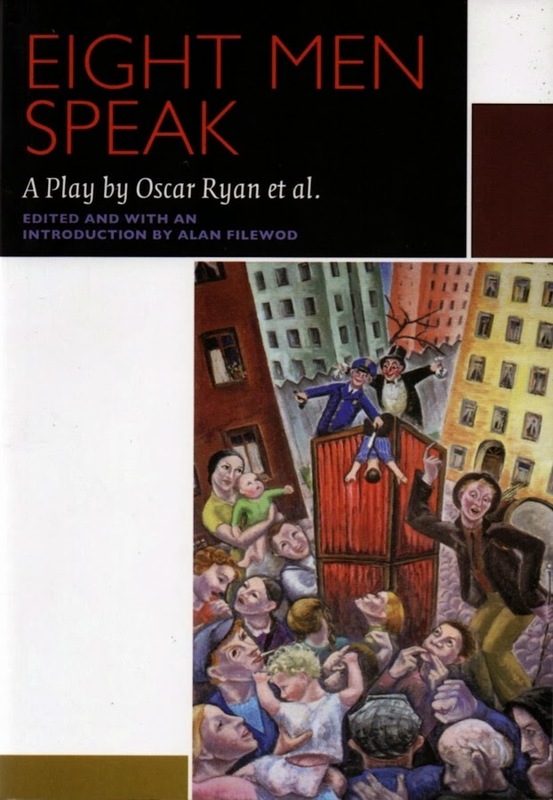 Written in 1933, reissued just last year by University of Ottawa Press, it's not so much a banned book as a banned play once – only once – staged as part of an effort to free Communist Party of Canada leader Tim Buck from Kingston Penitentiary. The Toronto Police didn't approve, nor did their Winnipeg brothers. Where mail carriers once worked to prevent its spread, today's will happily deliver Eight Men Speak to your door… er, post box. For my part, I do not believe this senate has any business at all legislating what I or anyone else should read. This is a free country, and we are not the keepers of our brothers' consciences to that extent. It would be going to far to try to tell adult Canadians what they should read… I think we should have confidence in the rising generation and try not to protect them too much. After all, character is formed by overcoming obstacles and resisting temptation. Day Two of Freedom to Read Week, but I consider this the real beginning. It probably doesn't reflect well on me that I focus so much on those who seek to suppress… and here I am doing it again with Catherine Seppala, once Mayor of Fort William, Ontario. 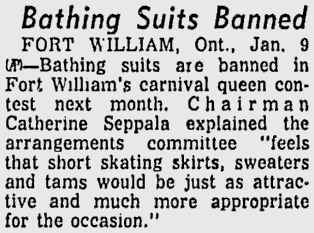 There's a good deal to admire about Mrs Seppala: she was a conservationist, a dedicated volunteer, a city councillor and Chair of Fort William's carnival queen contest. 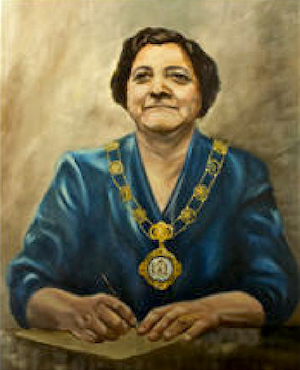 In 1959, she was elected Fort William's first and only female mayor. Sadly, the accomplishment is marred by abuse of power. It all began when the newly elected mayor visited the offices of the Central News Company and "suggested" to manager Henry Batho that he remove all copies of Lady Chatterley's Lover from city news stands. 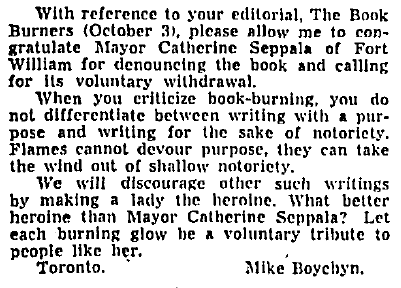 So persuasive was Mrs Seppala that Mr Bathos not only removed the book from sale, but received permission to use the city's incinerator in burning all seven hundred or so copies. 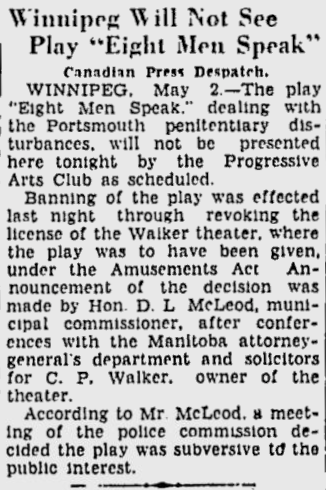 Mr Bathos later told The Globe & Mail that he had feared a lawsuit. The same report has Mayor Seppela admitting that she hadn't actually read the Lady Chatterley's Lover, but she fully intended to one day. 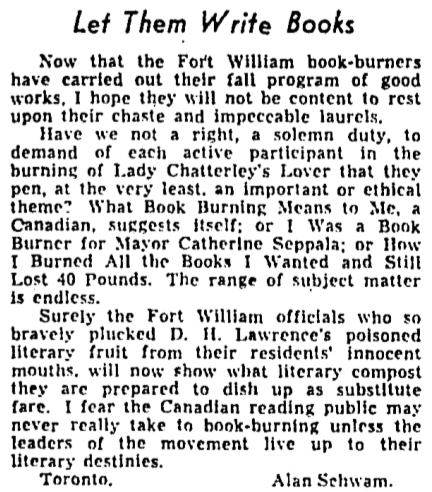 Ignorance in no way prevented her from deeming the novel as "a dirty rotten piece of filth", "the dirtiest thing ever put into print." "I will not hesitate to enforce a ban", she warned. 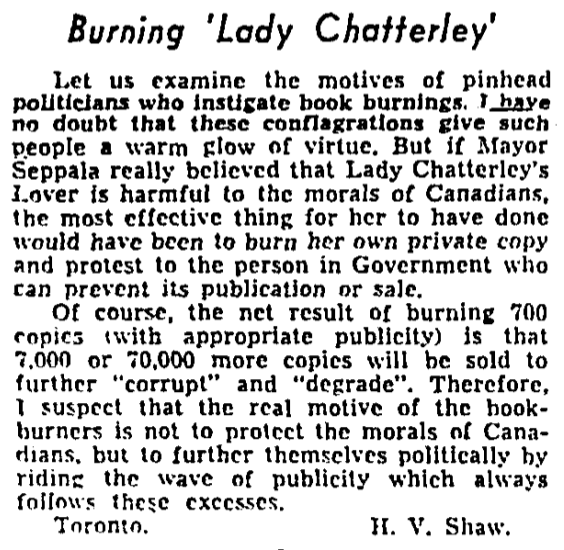 Mrs Seppala seems to have been undaunted, mailing a copy of Lady Chatterley's Lover to Minister of Justice Davie Fulton and asking whether he considered it obscene. Minister Fulton's response was to remind the mayor that her local police had the ability to launch test cases against publications they believed to be prohibited under the Criminal Code. How far Mayor Seppala was willing to go is anyone's guess. A few months into the crusade she was struck by ill health, which in turn led to her resigning the mayoralty. Anyone wishing an opinion as to whether a book might be obscene is invited to mail same to my St Marys address. And, no, you can't have it back. * No light will be cast on Barrick Gold Corp. I rush to add that Peter Munk, Anthony Munk, Howard L. Beck, William Birchall, Jamie C. Sokalsky and Brian Mulroney are mighty fine people. Really. 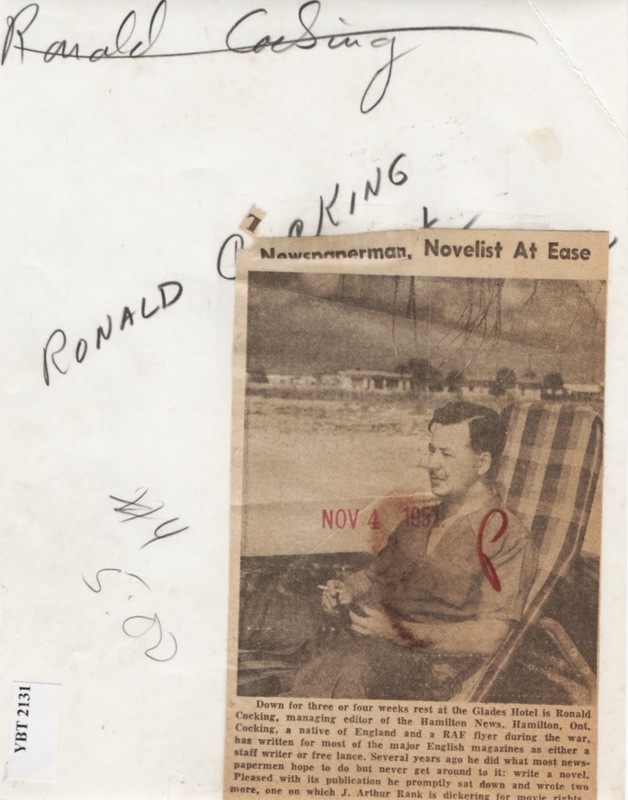 I possess one of the finest collections of Ronald Cocking material in private hands. Yes, I do. What's more, it was amassed in a matter of minutes. There is a cautionary tale in this, recounted in my review of Die With Me, Lady. It will not be repeated it here. In its place, I offer these words of advice: Do not judge an oeuvre on eight pages of text. A glossy 6¼ x 8¼ black and white photograph (above) depicting the author at ease. A refugee from the defunct Miami News, I purchased this photo for US$5.33. The obverse appears to indicate that the image was published on 4 November 1951, a Sunday. It was through this item that I discovered Cocking had once served as Managing Editor for The Hamilton News. 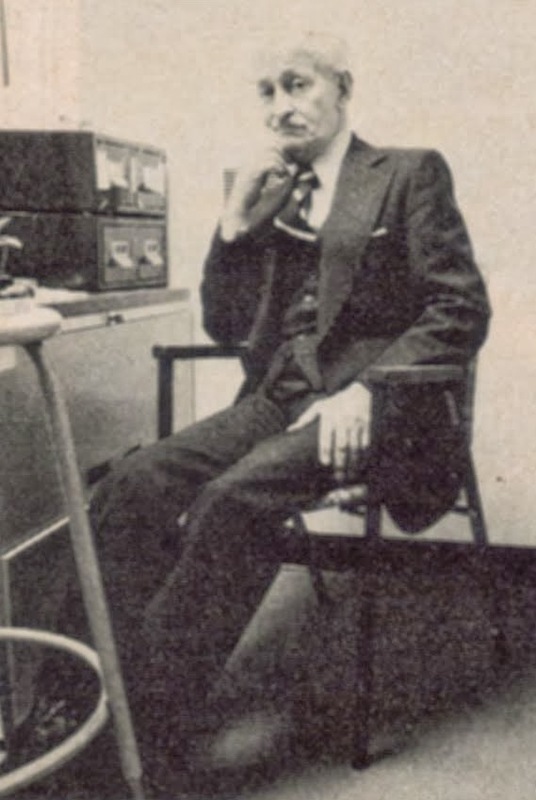 The caption reports that J. Arthur Rank is "dickering for movie rights" to one of his three novels. Wish I knew which. 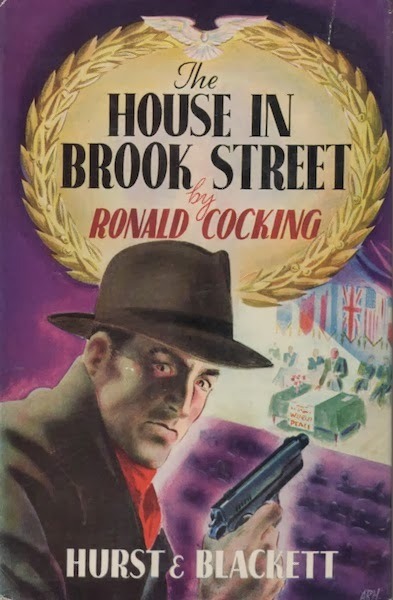 A first edition of The House on Brooke Street (London: Hurst & Blackett, 1949), Cocking's first novel. 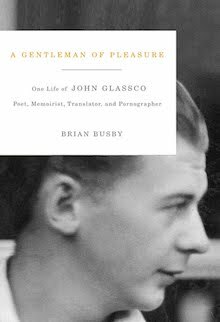 "Written in the best 'Clubfoot' tradition", says the jacket, but I doubt I'll ever read it. 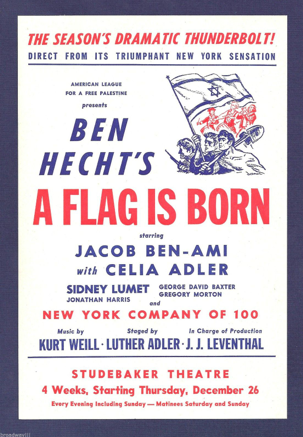 Published sixty-five years ago at 8s. 6d., I paid £20 for my copy. 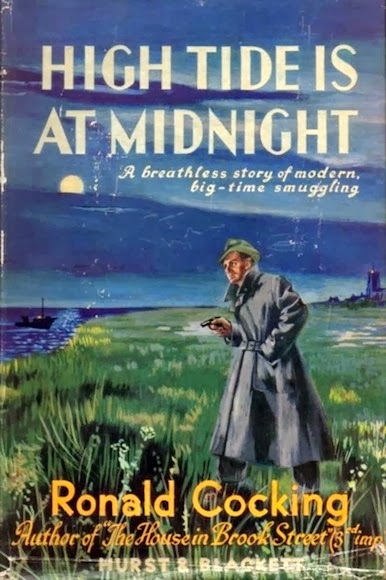 High Tide is at Midnight, subject of my most recent post. 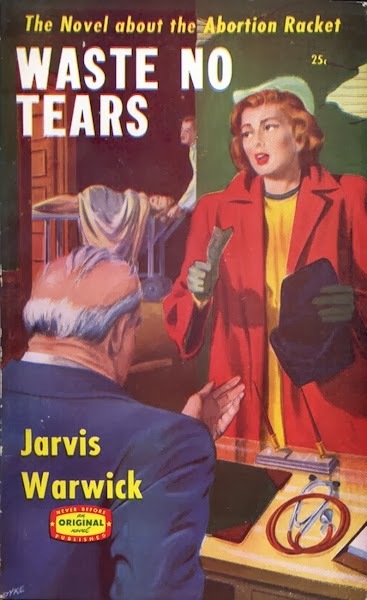 Published by Hurst & Blackett in 1950, this is a first edition of Cocking's second book. This one, originally 9s. 6d., was purchased for £26. 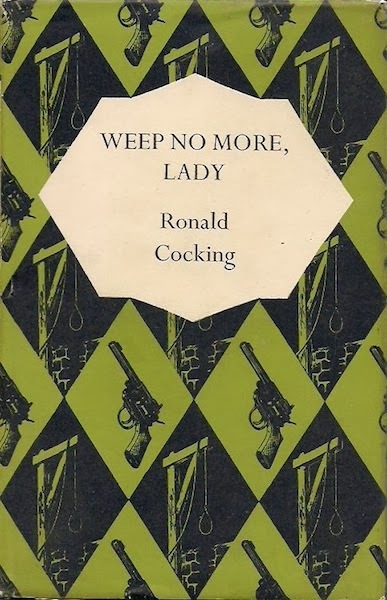 A second edition copy of Cocking's third and final novel, Weep No More, Lady, published in 1953 by the Mystery Book Guild. This one was a bargain at £7. 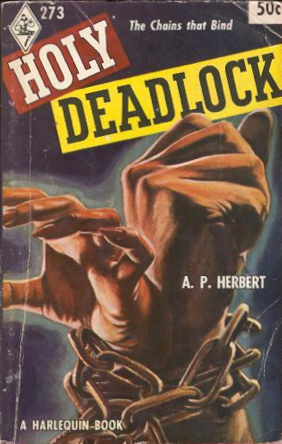 The first edition was published in 1952 by Hurst & Blackett. Weep No More, Lady recast as Die With Me, Lady for the Canadian news stand. 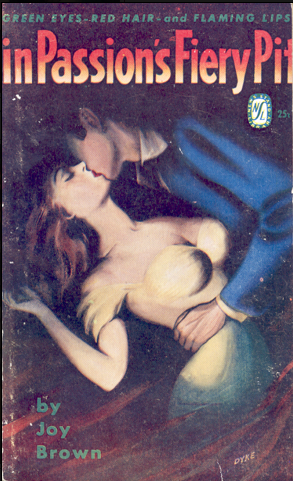 Published in June 1953 by Harlequin, it was this copy – more precisely, the first eight pages of this copy – that led me to drop C$147.10 (incl. shipping) on the above. Oh, but didn't those eight pages show such promise! Addendum: What do I know about Ronald Cocking? Not much ore than is found on the back of that glossy black and white. To be perfectly frank, I haven't been much inspired to take that ninety-minute drive out to Hamilton to see what I might find. What else? What else? Well, let's see… That W. stood for William. He was born in 1907 at Portsmouth, and served in the RAF during the Second World War. Cocking emigrated to Canada, but at some point returned to the UK, where he contributed to Parade and Argosy. He died at Surrey in 1999. Oh, and it seems he did know his canines. 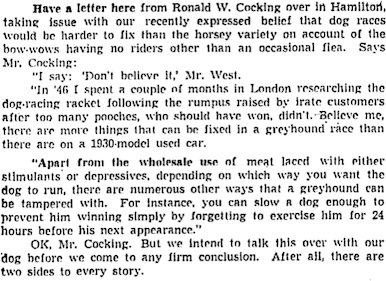 The last piece of Cocking fiction I've been able to find is "It's a Dogs Life! 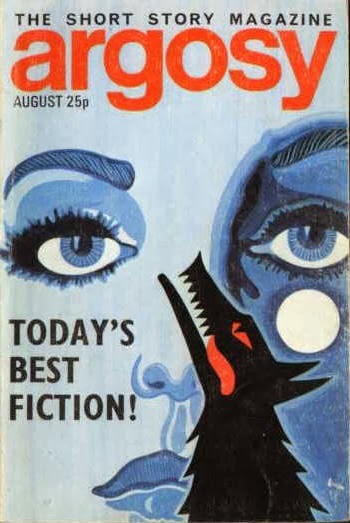 ", published in the August 1971 issue of Argosy. I'm not interested in buying a copy. If the past is a foreign country, that of a foreign country will seem particularly alien. Still, I wonder if there was ever an England like the one depicted in High Tide is at Midnight. Was there really a time in which unlisted phone numbers were available to anyone who asked? Was there really a time when a simple call to a beautiful young film star would bring an immediate invitation to tea? Really? At the actress's London flat? Even when you refused to say why you were calling? These are the sorts of questions that played through my mind when, I suppose, the author would've had me thinking about smuggling, rationing, and the high rate of purchase tax. His hero, Kevin Marlow of the Customs and Excise Department's Special Investigation Branch, is perhaps the dullest to ever feature in a thriller. 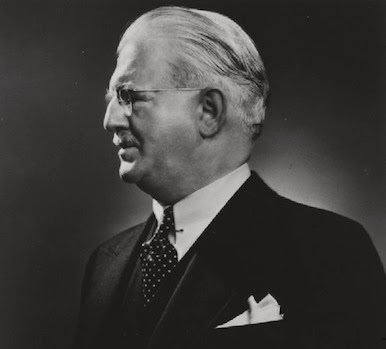 "You know, Mr. Marlow," says his superior, Sir William Lindlay, "I think you are the most patient officer in the Branch. Not the most brilliant, perhaps, but certainly the most patient; and patience often achieves results denied to the purely clever people." Clever colleague Craddock having failed, Kevin is assigned to take over an investigation into a smuggling ring thought to be working the English Channel. That evening, whilst going through Craddock's notes in his bachelor flat, he finds the calling card of new screen sensation Margaret Lawson. It's an "odd coincidence", Kevin having taken in her latest film, Strange Tomorrow, just hours earlier. The very next morning, Craddock collapses, whispering these words to Kevin with his dying breath: "Kennington… Near Kennington. And… the… sea… port. They're… all… in… it." Kevin decided that he didn't understand at all; nothing fitted. For one thing, he ought to be feeling a considerable resentment towards her because of the fact that she was deliberately obstructing him – yet all he could feel was admiration for her loyalty. Yet she had lied about Craddock, and if his vague suspicions about Craddock were right, that tied her up directly with what was going on – which was a vastly different thing to her being an unwilling party. He was thinking in circles, he suddenly realized – and gave it up. He must get a lot more facts first. At eight o'clock the next morning – a Saturday – Kevin was bowling along over Catford Heath, headed south-east. It was more like April than October – the sky was blue, and there was a golden haze in the crisp air. By eight-twenty-five he was in Farmingham, and he pulled up briefly at a café to drink some steaming hot coffee and eat some buttered toast. Then he went on down the arterial road until he came to the Sevenoaks-Maidstone Road, where he turned left. In Maidstone he stopped to consult his road-map, then pressed on down the Hastings Road for a mile, turned off south-east again on the Class 2 road, finally coming out in Tenterden. There he asked the way from a passing farmhand, and some five minutes later he coasted down into a hollow, and tucked under the hill on the left, close to a brook, there it was – a cottage with a small board attached to a gate on which was written 'THE DELL'. Although Kevin is helped along by the odd "odd coincidence" and has the good fortune to stumble, both literarily and figuratively, upon a good many clues, he proves himself incapable of exposing the smugglers. One of his greatest breaks occurs when, quite by chance, he stops in a village in which every single inhabitant is involved with the ring (vicar included). Even this leads to nothing. Shame Craddock is dead; bet he could've figured things out. Ultimately, it's Margaret Lawson who blows the lid off the smuggling operation, telling our hero everything. In doing so, she exposes family's participation, thereby risking gaol time for herself, her brother and her parents. Well, you see, the beautiful film star had fallen in love with the Customs and Excise man. Was there ever really such an England? "You know," he said, "I little thought when I was sitting in the cinema watching your last film a few days ago that I would be soon having you all to myself in a country cottage. I admire your acting enormously." She said: "Thank you, sir. But seriously – I'm glad. Oddly enough, I want you to… have a good opinion of me." She shrugged her slim shoulders. I don't really know – after all, we're practically strangers. But I suppose that it's because intuitively I respect your judgement. Does that sound ridiculous?" "No," Kevin said, smiling. "And it does my ego a lot of good." He looked over the rim of his cup. "While the Mutual admiration Society is in session, I should like to mention something else. I think that you're the most beautiful woman I have ever seen – and I mean that very sincerely. I hope you don't mind my saying that; anyway, it's said." Object: A compact 222-page hardcover in black boards. 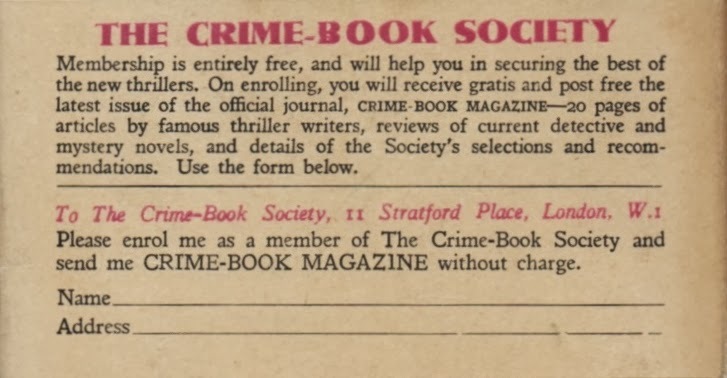 I purchased my copy last year – avec Crime-Book Society belly band – for £26 from a bookseller in North Lincolnshire. The back cover features a pitch for the publisher's "New and Forthcoming Thrillers", including: The Man I Didn't Kill by Norman Deane (pseud. 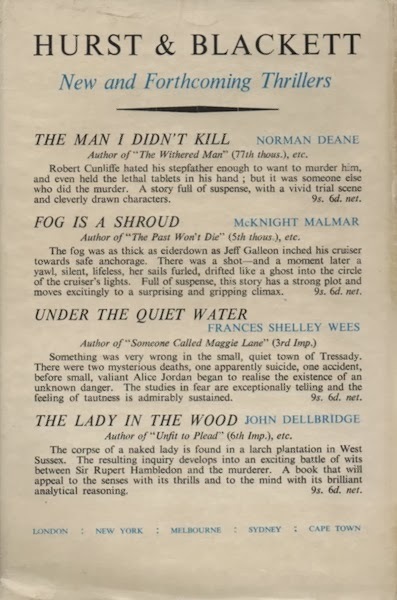 John Creasey), Fog is a Shroud by McKnight Malmar, and The Lady in the Wood by John Dellbridge. The one I'm most interested in is the ultra-uncommon Under the Quiet Water by Canadian Frances Shelley Wees. Access: Not found in a single library on this side of the Atlantic. Cousins overseas will find it only at the British Library, Oxford University and Trinity College, Dublin. No copies are listed for sale online. Writing here last week, I described Syd Dyke as unappreciated. I stand by that word. 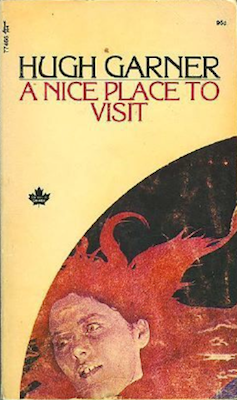 Apart from a few pieces posted a couple of years back at Fly-by-night, I've found seen no recognition of the man; and yet he was responsible for so many of the most interesting and attractive Canadian post-war paperback covers. Dyke illustrations are usually easy to spot: look for a peculiar angle and a ridiculous amount of entirely superfluous detail. 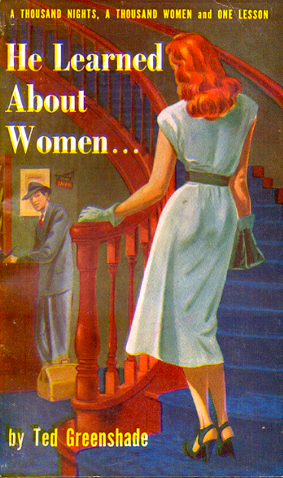 Just think how much time went into the staircase gracing He Learned About Women… (Toronto: News Stand Library, 1950). And is that check-in sign really necessary? Another book, another lobby, another lobby girl. Unglue your eyes from those gams, head north and a bit west so as to dodge the blonde's bosom and you'll see: a potted plant, a bellhop carrying a hatbox and… what exactly? A crystal ball? And what's up with that that guy's dainty looking ring? 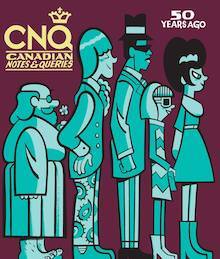 To say Dyke was the finest of the New Stand Library artists is probably not much of a compliment; with Paperjacks and New Canadian Library, NSL is responsible for many of the ugliest, most ineptly produced books to have ever come out of this country. I much prefer his style to that of prolific NSL regular D. Rikard. 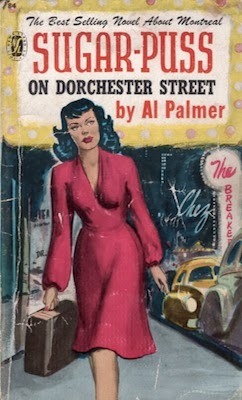 The differences between the two illustrators is best seen in their approaches toward Al Palmer's Sugar-Puss on Dorchester Street. 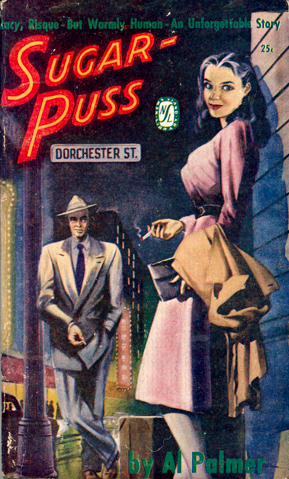 Rickard's 1949 cover has Sugar-Puss walking beneath a brightly lit marquee, bringing too much light to what is a dark, if somewhat silly story. 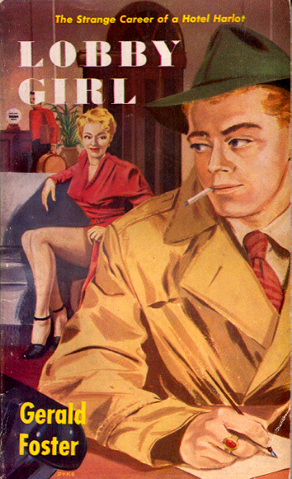 Dyke's 1950 cover, produced for the American market, better captures the novel's atmosphere, though it does make our two lovebirds, Jimmy and Gisele, look like pimp and prostitute. Credit goes to both illustrators for capturing Giselle's breasts, "large and firm; a legacy of her Norman ancestry." Bricks and mortar aside, Dyke shows some restraint in terms of detail with Sugar-Puss on Dorchester Street. To be fair, the illustrator would on occasion go for something relatively simple. 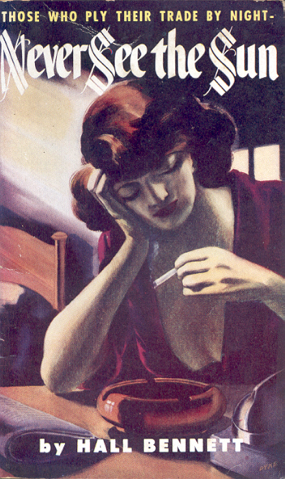 Dyke's cover for In Passion's Fiery Pit (1950) by the Joy Brown (later Carroll) is a favourite. Don't blame the illustrator for the cut-off title, it's typical of News Stand Library. What follows are four more of my favourite Syd Dyke NSL covers. 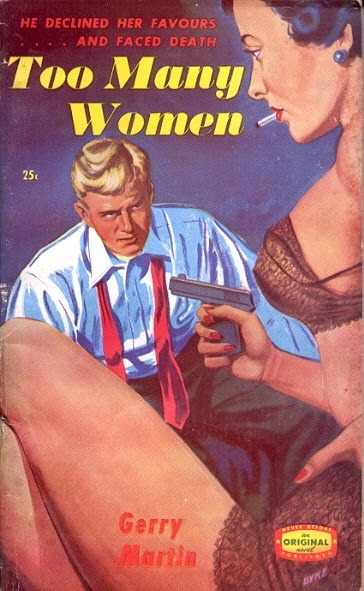 He Learned About Women… Too Many Women. 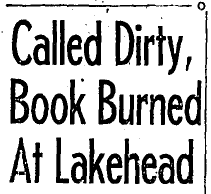 After – perhaps before – News Stand Library literally went up in flames, Syd Dyke began working for Harlequin. There he showed a bit more restraint, but then the titles themselves were less quirky. 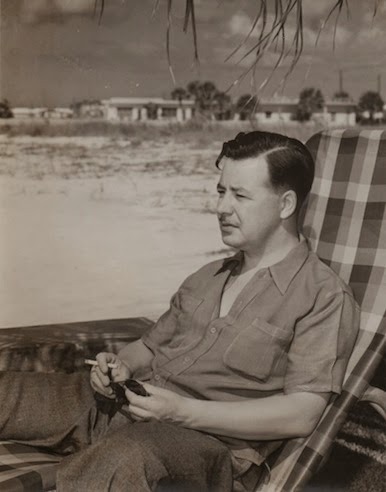 He provided covers for books by Agatha Christie, W. Somerset Maugham and son of Napanee H. Bedford-Jones, but his specialty was westerns. 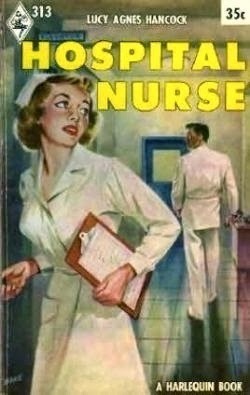 Of all his Harlequins, my favourite is Hospital Nurse (1954), which fairly anticipates the path the publisher would pursue a decade later. Gotta love those floor tiles. 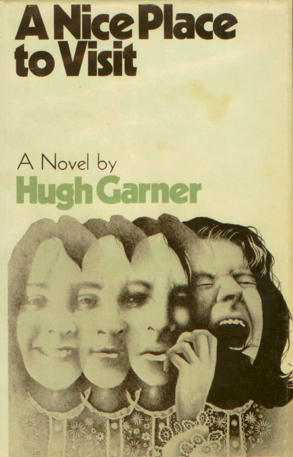 Hugh Garner's pseudonymous second novel, Waste No Tears, goes to press next week, returning after a sixty-four year absence as part of the Véhicule Press Ricochet Books series. I'm proud to have played a part in its resurrection, and am particularly pleased with myself for having asked Amy Lavender Harris to pen the Introduction. Anyone at all familiar with her work will understand. 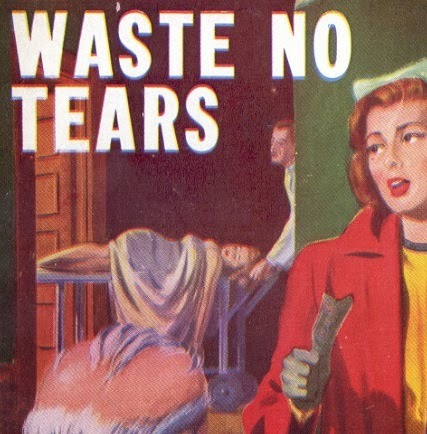 Waste No Tears is not a feel-good novel, but then one would never expect such a thing from a book pitched as "The Novel about the Abortion Racket". 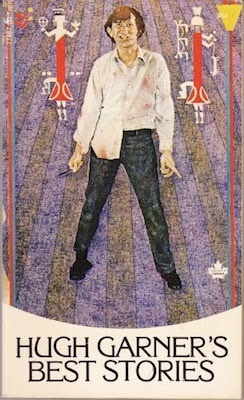 The cover, by unappreciated Winnipeg boy Syd Dyke, has haunted me from the day I first set eyes on it. It is a novel so scarce that it cannot be found in Canada's largest public library, it's largest university library or even the National Library's copyright deposit. 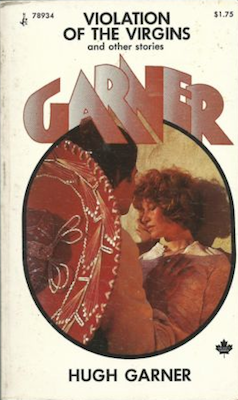 Odd thing about Garner: his books were graced with some of the most disturbing images. He was, of course, a Governor General's Award-winner, once considered one of our greatest short story writers, but you'd never know it to look at these. Out of print, each and every one. 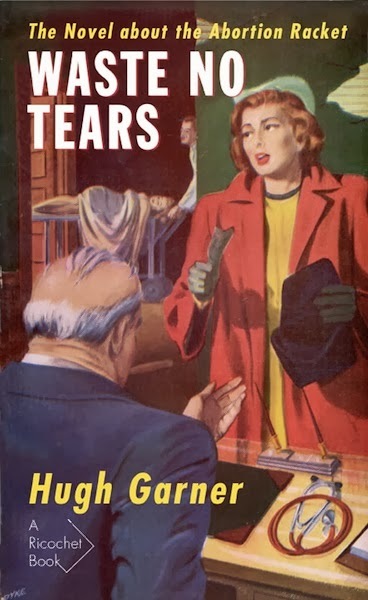 Well, next month Waste No Tears will be available again, in original cover tweaked to give Garner his due. Pre-orders are being taken by the usual sources. Can't wait? There's a decent copy of the original New Stand Library edition listed online. But it'll cost you US$249, and it won't have Amy's Introduction.